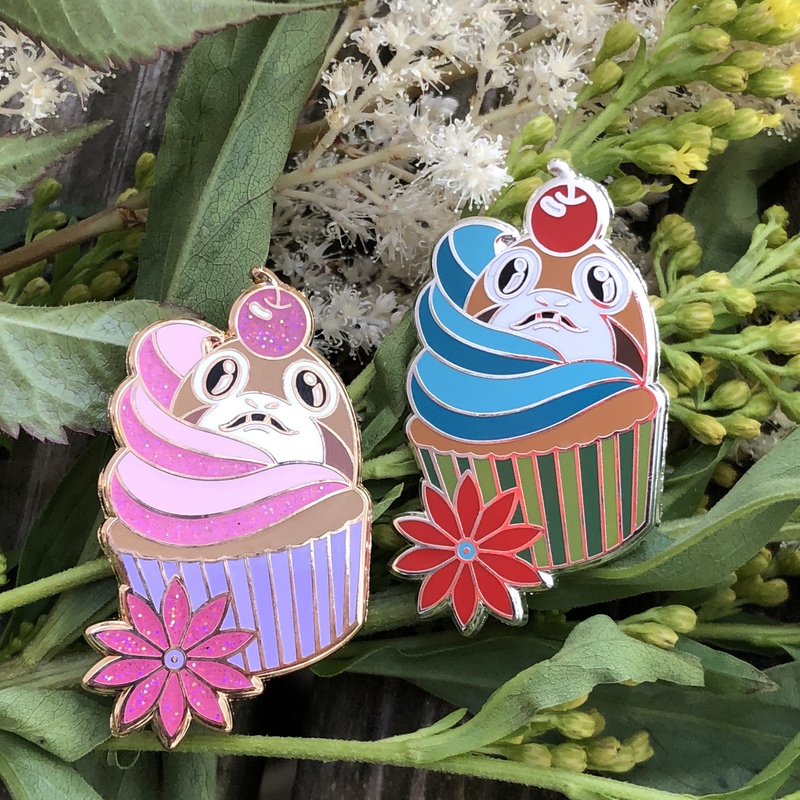 New adorable porg cupcake pin, slightly over an inch and comes in two variations. Gold with pinks and glitter enamel, and the original reals and red enamel in a silver color metal. 2 posts on back.